Over +75% of our clients have chosen to have us custom build their eLearning Platform. All our plans include free complimentary development hours, providing you with the customizations you need as your organization continues to grow. One key factor which separates the Academy Of Mine eLearning Platform from other platform vendors is that we will customize your eLearning platform to grow with your needs. While we do provide a robust, out-of-the-box LMS solution that is ready to go live from Day 1, with us you also always have the option to access any customizations you may need as your needs change and your eLearning business evolves. It is better to be proactive than reactive. Even if you don’t require specific customizations now, as your eLearning business continues to grow you are likely to need access to customizations in the future. Money saved. 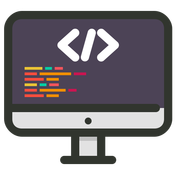 To allow for the customizations you need, all our plans include FREE development hours as a standard service to all clients. Your platform adapts and grows with you, you don’t have to change to fit your platform. Instead of using a generic platform that is designed to work for all users, with a customizable platform you benefit from having your individual needs met when the design of your platform is centered exclusively on meeting your specific requirements. You have the ability to grow organically into your eLearning platform at your own pace. With access to customizations developed specifically for your business, your platform has the ability to grow and adapt alongside your organization at a pace that works for you. You won’t have to migrate to get what you need. No one likes to have to migrate from one eLearning platform to another to get their needs met. Migration is a hassle: if your eLearning courses are hosted in an adaptable, customizable platform not having to migrate is one less thing to worry about. Interested in having your eLearning Platform custom built to grow with your individual needs?